CINCINNATI, March 14, 2019 /PRNewswire/ — PatientPoint®, the trusted leader in patient engagement solutions committed to making every doctor-patient engagement better™, has named Wes Staggs as Executive Vice President, Customer Success. Staggs brings more than two decades of progressive leadership experience in business development, sales and technology to PatientPoint and this new role. As Executive Vice President, Customer Success, Staggs will oversee multiple PatientPoint teams charged with delivering a best-in-industry experience to the more than 51,000 physician offices and 1,000 hospitals systems leveraging PatientPoint solutions. Staggs and his teams will own the entirety of the customer experience from device installation, field operations and IT integration to message customization and ongoing quality assurance. The omnichannel PatientPoint engagement platform delivers award-winning, personalized content to patients, caregivers and providers at key points along the patient journey including the waiting room, exam room, physician back office, hospital and beyond. Staggs’ role is designed to help providers leverage the PatientPoint platform as a critical tool to deliver value-based care. Staggs arrives at PatientPoint with a wide range of leadership experiences in technology, service provider and software industries and a strong track record of driving company growth. 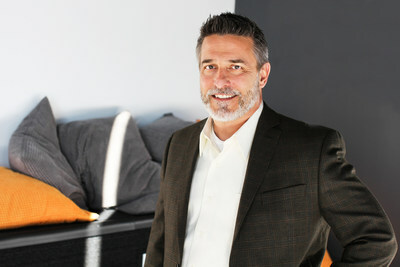 He most recently served as Chief Customer Officer at Blue Ridge, a cloud-native supply chain software solution, and Chief Operating Officer and Chief Revenue Officer at CRM platform Revegy. Earlier in his career, Staggs served in sales and business development leadership roles at RVH Analytics, OneHealth Solutions, Concerro, Inc. and WebMD. Staggs sees his role at PatientPoint as instrumental in helping PatientPoint fulfill its corporate mission of making every doctor-patient engagement better. PatientPoint® is a patient engagement solutions company passionately committed to making every doctor-patient engagement better™. By harnessing the power of technology, our omnichannel platform more effectively educates and empowers patients, caregivers and staff to deliver improved health outcomes and an enhanced patient experience. For 30 years, hospitals, health systems, physician offices and sponsoring brands have trusted PatientPoint and its more than 450 team members to provide a uniquely integrated experience across care settings. Learn more at patientpoint.com.